At the age of 22, while many men are just beginning to consider their future, Jason Accardi was well on his way to securing his own. As a student at Florida State University, Mr. Accardi started a parking service to help pay his way through school. Upon graduating, he realized he controlled a business he could build a career on, and Seven One Seven Parking Services began. Since then, the small company Jason Accardi founded with his twin brother and a friend has flourished into a dynamic business with a national presence and more than 2,500 employees. The principal reason for Seven One Seven Parking Services’ success? Devotion to a job well done. Mr. Accardi understood early on that good employees make for great customer service and ultimately, satisfied clients. So he developed training programs that are still considered industry benchmarks. He set high standards for every single employee from the corporate office to the valet stand, and found that with the right encouragement, they didn’t just meet his standards, but reached even higher levels of achievement. 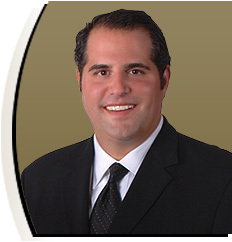 Jason Accardi is on the Board of Directors of the National Parking Association, and has served as the Co-Chairman of the Central Florida Chapter of the International Association for Healthcare Security & Safety (IAHSS) and is an Elite member of the National Valet Parking Association. As President, Jason Accardi continues his involvement in the day-to-day operations of the business. He devotes his full attention to wherever the company needs him most, right down to the smallest details, because although he’s at the helm of one of the parking industry’s leading companies, Mr. Accardi has never forgotten the lessons he learned when he started in Tallahassee all those years ago–hard work brings the greatest rewards.